Take the stress out of prepping for your summer BBQ with our Mini Skewers of Summer menu!! 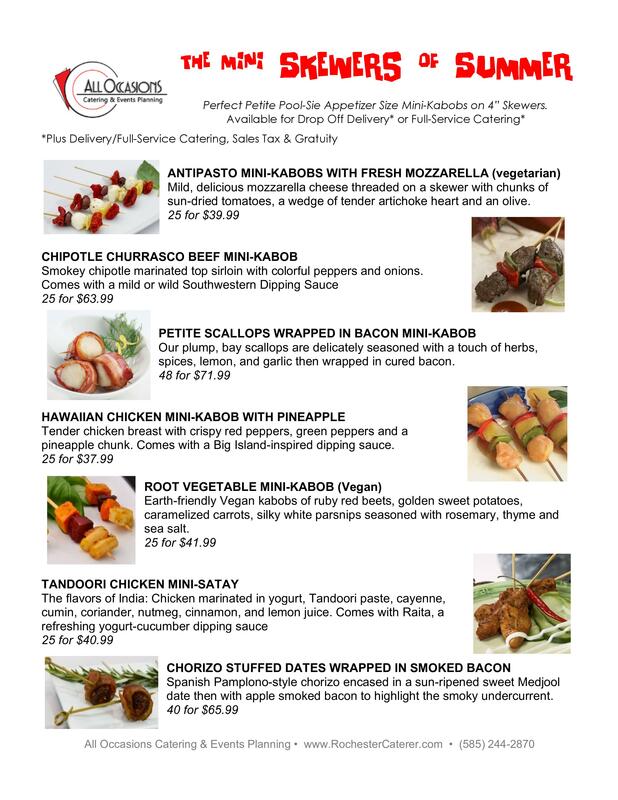 This menu is available for Drop-off Delivery or Full-Service Catering and features a variety of Appetizer size Mini-Kabobs. We make your BBQ a hit!! Our team will set up the perfect BBQ display on your buffet or picnic table. 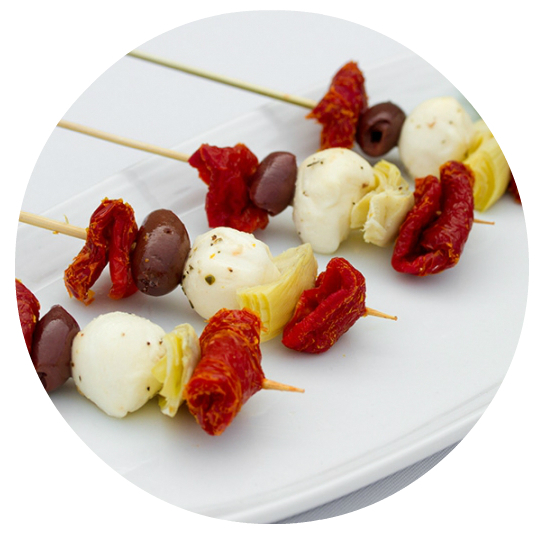 Your guests will love these delicious skewers & YOU will love how relaxed you feel. Chat with Pattie about having your BBQ fully catered today! Our Mission Obsession: You and Your Guests Will Rave!